Shapeshift exchange is one of the most convenient ways to exchange one cryptocurrency for another. Since 2013, Shapeshift has allowed crypto-to-crypto exchanges without users having to submit their names or emails. For these users, it’s a great anonymous crypto buying method. For others, it’s simply the most convenient way to exchange cryptocurrencies. Shapeshift API has led to the platform being integrated with high quality cryptocurrency wallets and platforms, such as the Jaxx multicurrency wallet. Partnerships and integrations like these have people using Shapeshift without even realizing they’re doing so – one of the marks of a truly useful digital technology. Shapeshift tends to be more expensive than centralized exchanges, but there are no direct Shapeshift fees (Shapeshift is thought to make money by taking a percentage of the static exchange rates they charge for each transaction). There are pros and cons to Shapeshift exchange, as with any platform, but it has its uses and we recommend it for certain purposes. 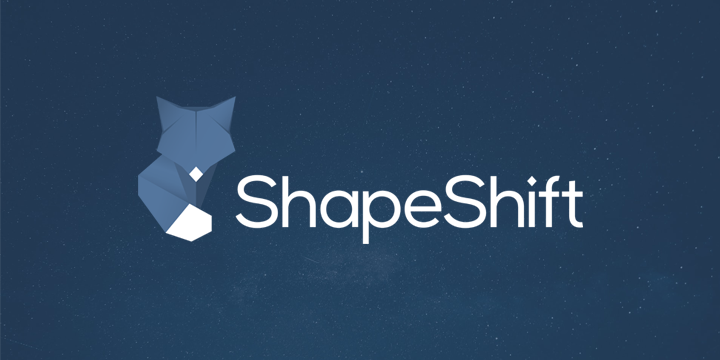 Shapeshift exchange was founded in 2013 by Erik Voorhees, a persistent personality presence in the larger cryptocurrency industry. Voorhees’s exchange was a prescient concept, as more and more crypto investors would seek out ways to trade cryptocurrencies without leaving behind a digital trail, as with centralized exchanges like Bittrex. Shapeshift does its job by holding a reserve of each coin they support. That way users around the world can get instant resolution to their trades, without having to jump through the hoops required by centralized exchanges. Users have many reasons to enjoy crypto trading without accounts or ID provision, and Switzerland’s Shapeshift has proven that this is a reliable business model. What Are the Downsides to Shapeshift? Of course, any popular exchange will have bad that accompanies the good. Shapeshift is not terribly transparent about the practices they use to facilitate user trades. There are numerous anecdotal reports of failed transactions and lost funds. Shapeshift even had an employee who stole funds totaling some $200,000 in value a couple of years ago. Furthermore, fears that outgoing user funds are temporarily held in hot wallets gives users another reason to be concerned about Shapeshift security. Remember, along with no Sign Up and Account, we also do away with passwords and 2-factor authentication. Erik Voorhees and his cadre have not always been very responsive to user complaints, and this has soured some to Shapeshift exchange. Those who have had trouble have had no recourse for the recovery of their funds, and as regulations don’t create a typical finance industry mandate for Shapeshift’s ongoing operation, some burned users feel like they’re simply out of luck. Shapeshift costs a little more than other exchanges typically do. We’ll cover this in more detail a little later on, but it’s worth noting. Bad experiences are in the minority with Shapeshift, however, and this writer has used it with success on numerous occasions. Shapeshift is reliable enough that we can recommend that you try it yourself. But if you’re worried or find it too prone to failure, an alternation like eToro might fit your needs a little better. Shapeshift can be confusing and a little scary for new users. That’s why well-regulated and well-established alternatives like eToro will be preferential for some. eToro isn’t a true competitor to Shapeshift, because it doesn’t send currencies to a user. Instead, eToro sells CFDs, an acronym which stands for “Contracts For Difference”. Basically, when someone buys an eToro CFD for Bitcoin, they can gain and lose money just as they would if they had purchased the same amount of Bitcoin. The only difference is that they don’t have to worry with keeping their Bitcoin safe, moving it from address to address, and taking it to the proper exchange when they want to finally cash out. eToro makes cryptocurrency investment easy because they remove all of these obstacles, putting you in a position to make profit with the least possible effort. eToro is well-regulated, unlike Shapeshift, and is a large enough company that its services have been battle tested, earning it a trusted place in the global investment industry. What Are the Shapeshift Fees? As already stated, Shapeshift doesn’t charge formal service fees. What they do instead is set static exchange rates which update occasionally as coin prices go up or down. The exchange rate charge is meant to cover the miner fees that various blockchains charge for completing transactions. What Coins Does Shapeshift Support? How Do I Use Shapeshift Exchange? To use Shapeshift, simply go to Shapeshift.io and choose the coins you would like to trade. To make any trade on the Shapeshift platform, you will have to first own cryptocurrency. Shapeshift doesn’t take fiat payments like some other exchanges do – no credit cards, debit cards, or bank transfers. You’ll have to start with a currency like Bitcoin, held in a personal address. This can then be exchanged for another cryptocurrency, chosen from the ones supported on the Shapeshift website. However, you need to do a little more than just own a trading cryptocurrency like Bitcoin. One of the coolest things that Shapeshift does is, after completing your transaction, sending your currency straight to a wallet of your choosing. This means that you must have a destination wallet ready before you initiate your trade. Cryptocurrency wallets come in all shapes and sizes. Some wallets support a single currency, like the Bitcoin Core wallet. Other wallets like Exodus hold tons of different coins. In the case of Exodus, each different currency will have its own address. But there are exceptions to even this type of currency. MyEtherWallet is a multi-currency wallet which only supports ERC20 tokens (coins released using the Ethereum blockchain). All of these coins use the same address. We can’t possibly account for all of the different ways to set up working addresses. Just make sure to do this carefully before using Shapeshift, because without a working address there’s no way to get the coins you need, and you’d like just being throwing away your money. Is Changelly a Good Shapeshift Alternative? Changelly is another Bitcoin exchange that works similarly to Shapeshift. The major difference is that Changelly allows users to make purchases with fiat currency (USD, with credit card). Shapeshift and Changelly each support different currencies. There is some crossover, of course, but generally these exchanges represent two different customer bases. There are also those who have strong feelings one way or the other, some of whom think Changelly is more trustworthy than Shapeshift. Having used both, this writer thinks they both have their place, and that users should investigate both and make up their own minds. Does ShapeShift Have an App? Unlike most other cryptocurrency exchanges, Shapeshift has fully functional trading apps for both Android and iPhone. It’s important to be careful when downloading cryptocurrency apps, because there are always imitators, and some of these exist only to steal your funds. That’s why, when searching for the iOS app, use only the official Shapeshift Currency Converter App. For Android, the name is slightly different, but the service is just as good. Choose the official “Shapeshift – Crypto Exchange” app for Android devices. It’s often a misnomer in cryptocurrency to call any behavior truly “anonymous”, but with Shapeshift we can get somewhere pretty close to the mark. Cryptocurrency investors might have all kinds of reasons to want anonymity in a financial platform like Shapeshift. Some people make clear that they don’t even need a reason why. Financial transactions should be private, after all, and Shapeshift makes this possible. We’ve already stated that Shapeshift doesn’t require users to submit ID or email contacts. Users can just make trades. But is this enough to preserve privacy? Not really. It’s still easy enough to track individuals’ usage of Shapeshift, and if someone had the knowledge, resources, and reason, they could know exactly what is bought and sold using Shapeshift, and who did the buying and selling. It’s unlikely that you will be a target of such an effort, but who knows? So here’s how to almost completely anonymize your Shapeshift usage. First, a browser like Tor can hide your traffic to and from Shapeshift, and anywhere else around the internet. TOR was created for the US military, and it has been providing internet privacy in the civilian population for years now. TOR works by sending your traffic through many different computers and IP addresses. However, the start and conclusion of each web session is traceable to your IP, so this should not be considered a fullproof solution in itself. To seal the deal, use TOR with a Virtual Private Network, or VPN. Always choose a VPN that does not store your web history, so that this can not be later sold or hacked. VPNs enshroud your entire web session in secrecy, even the IP address associated with the beginning and ending of each session. Think of it like receiving a letter. TOR sends the letter all around the world through a million addresses, making it impossible to track. But then the letter arrives in your mailbox with your name on it. Not so secure after all. The VPN allows TOR to do its thing, but when the letter gets close to your house, it delivers it to the abandoned house down the street. All you have to do is walk over and pick it up. Using this combination of methods with Shapeshift will give you almost completely full-proof anonymity. Of course, most people won’t need to resort to methods this extreme, but we know from experience that some people really value this information because they want to take no chances when it comes to their privacy. And perhaps that’s the best way. Whatever the case, this is a good way to achieve that goal. Shapeshift was one of the first decentralized exchanges. And even though it’s not a perfect solution and it doesn’t cover every coin in the marketplace, it’s still a reasonably reliable, fast, and affordable solution to basic crypto trading. We don’t see Shapeshift going anywhere anytime soon. Their integration with popular wallets and platforms means that Shapeshift is providing value even for those who don’t know about the platform. What’s more, the need for anonymity in cryptocurrency trading is also very important to people, especially as crypto becomes ever-more mainstream. Try Shapeshift for your next crypto-to-crypto exchanges. We think you’ll find it fast and convenient which, at the end of the day, is what Shapeshift is all about anyway.